Today’s release by Wikileaks of what is believed to be the current and essentially final version of the intellectual property (IP) chapter of the Trans-Pacific Partnership (TPP) confirms our worst fears about the agreement, and dashes the few hopes that we held out that its most onerous provisions wouldn’t survive to the end of the negotiations. If you were gaming on a PC just after the turn of millennium, you likely fondly remember the classic game No One Lives Forever. A genre turning first-person shooter that featured a strong, reasonably dressed female hero and a setting inspired by 1960’s spy films was received incredibly well by both critics and fans. And, because retro PC gaming continues to have a strong following, any of you that know what we’re talking about here are probably thinking you’d like to fire up a copy of No One Lives Forever on your updated machine and give it another go. Well, you can’t. You should be able to, but you can’t. And you have a complicated web of copyright and trademark rights-holders to thank for it. Lesson: companies should not let their lawyers run their businesses. You get “legally correct” decisions that make absolutely no business sense. In a long-anticipated decision, the Supreme Court held today that the first sale doctrine applies to works made outside of the United States. In other words, if you bought it, you own it—no matter where it was manufactured. That’s a major victory for consumers, and also libraries, used bookstores, and all kinds of groups that depend on the right to lend or resell the goods they’ve legally purchased. It’s important that copyright law is applied and upheld in a sane and sensible way, and this ruling does that very well. Nice to see, given all the nonsense in recent years around copyright abuse by corporations (including the repeated “Mickey Mouse” extension of the copyright term). 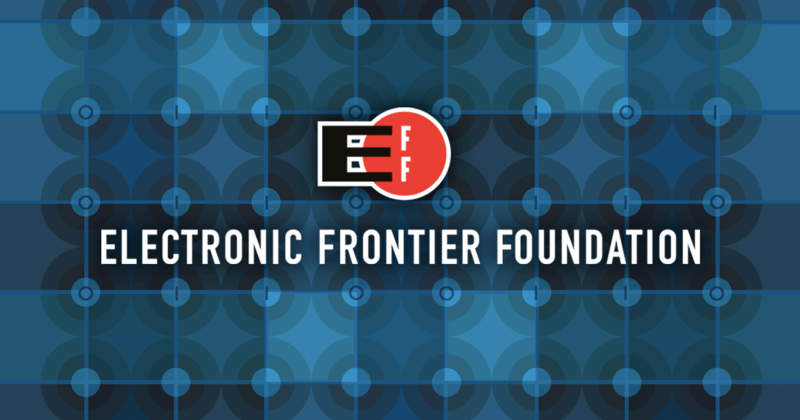 The Electronic Frontier Foundation posted Can You Believe It? Legislation that Would Actually Help Fix the Patent System, about a new bill introduced by two US Representatives. The “SHIELD” act (Saving High-Tech Innovators from Egregious Legal Disputes) simply states that if you sue someone over a computer hardware or software patent, you better have a reasonable and good-faith belief a defendant actually infringes a valid patent before it sues. Otherwise, you’re up for all the costs. I think it’s an excellent initiative. While not really fixing the patent system, it makes the now rife patent trolling particularly in the space of software patents unprofitable. Fundamentally I believe that software patents are a mistake, but I’m also a pragmatist. Software patents are not going to disappear overnight. However, any person or corporation with money (troll or not) can currently bully a small innovator, the mere threat can put them out of business regardless of whether the claims have merit. This is because the small innovator cannot even afford to let it go to court now, the process itself would bankrupt them even if they’d win. That is a hindrance to both innovation and valid economic activity – clearly that is not the intended purpose of the patent system. The patent system was intended to provide an inventor an exclusive time period to benefit from their invention either directly or through licensing (and as a sideline, recoup up-front costs) while having the details of the invention publicly available – thus promoting innovation, not hindering it. The proposed bill is US legislation, but with a much broader effect. For instance, technically Europe doesn’t even have software patents, but any place that interacts with the United States through free trade agreements has some form of exposure to the US way of handling Intellectual Property, no matter how broken it is. EFF point out that the “no frivolous claims or you pay” system has long been in place for copyright infringements and other such cases, so as a concept in the space of Intellectual Property rights it’s not new at all. It makes legal and logical sense sense and puts the US patent system in line with the rest of the US IP legislation, but no doubt there’ll be vigorous lobbying by parties that have an interest in keeping the system broken. It is a good sign that US Reps. DeFazio and Chaffetz stick their head out in this way. For the broader case of software patents, see the Defend Innovation website. You can add your support there too.